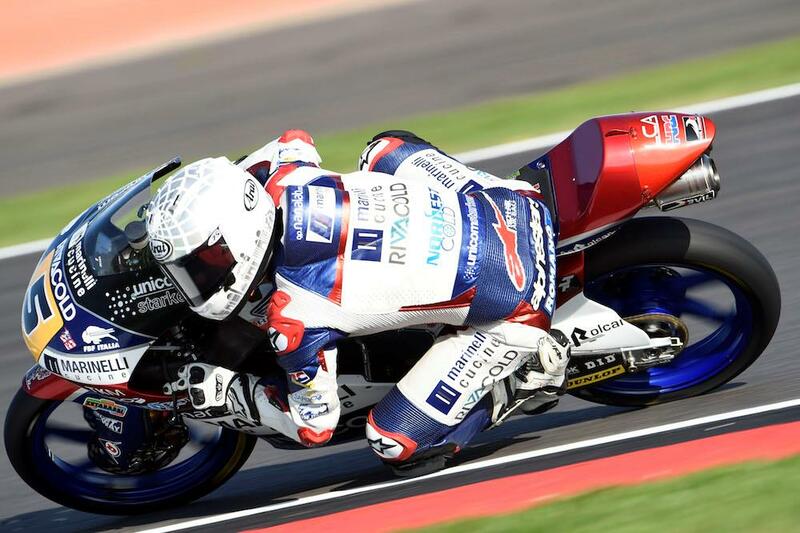 Romano Fenati obliterated the competition in a damp-but-rapidly drying Moto3 final free practice session at Silverstone this morning. An early morning rain shower left the circuit wet this morning, but with the temperature high and the sun breaking through the track was already drying as the session got underway. As the session went on, more and more riders would opt for slick Dunlop tyres and the bravest riders would go on to prosper in the tricky conditions making for an interesting top ten. 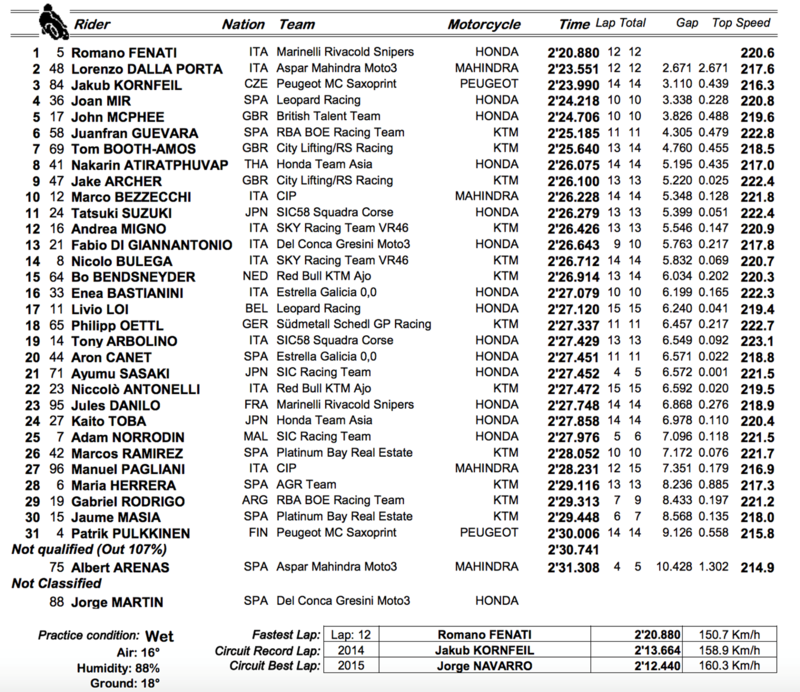 Fenati led the way, some 2.6 seconds ahead of closest rival Lorenzo Dalla Porter with Jakub Kornfeil third quickest after a last ditch lap. Series leader Joan Mir was fourth quickest ahead of local hope John McPhee with Juanfran Guevara rounding out the top six. The tricky conditions brought the best out of local wildcards Tom Booth-Amos and Jake Archer, who completed the session seventh and ninth quickest split by Nakrin Atiratphuvapat. Marco Bezzecchi rounded out the top ten. Pick up this week's MCN for a 32-page British Grand Prix special, including exclusive interviews, the best places to watch, what makes a perfect GP bike and more!